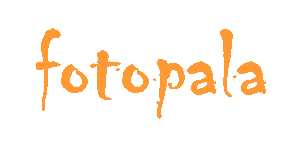 Here on Fotopala.com I have an entire page dedicated to Health and Wellness. Be sure to download my short novel Sammy’s Hope since it is loaded with personal growth concepts and positive messages. This is my first novel, and it is a FREE e-Book that you can download as a PDF file by clicking HERE. I do a lot of blogging on spirituality, and you can read these posts on my Blog. In the sidebar under Blog Categories, just pick a category and go. In addition to teaching English as a Second Language (ESL), I work as a Market Analyst and WordPress Website Developer for businesses and non-profit organizations. Perhaps I can help your business grow financially, so feel free to check out the page Market Strategies. Thank you for everything that you do to grow personally, and for everything that you do to make the world a better place.